« How to manage refractory RV shock with infero-posterior MI ? Coronary artery swing : A new method to rapidly and accurately assess RV function in cath lab ! Right ventricular function assessment has always been difficult in view of it complex shape and limited imaging planes in echocardiography . 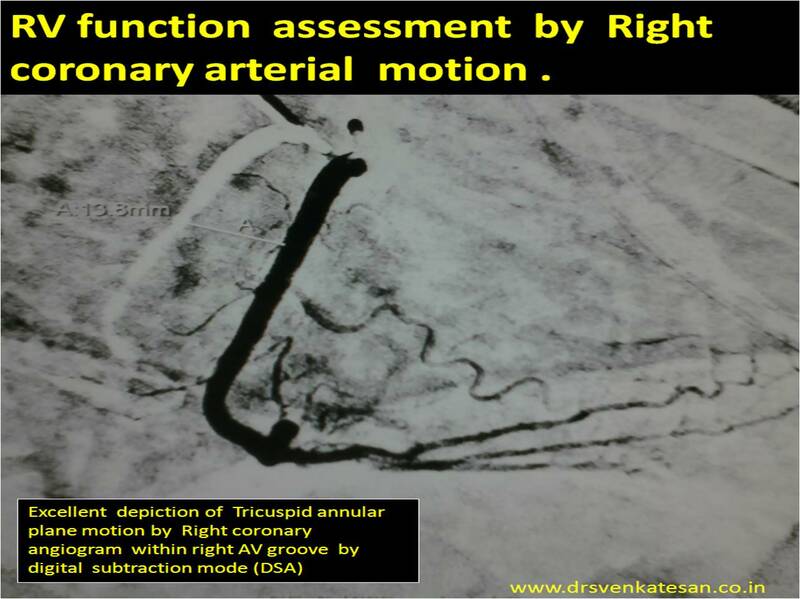 Recently , we learnt tricuspid annular motion can give a quick assessment of RV function . This was accomplished by M-mode echo of tricuspid annulus. 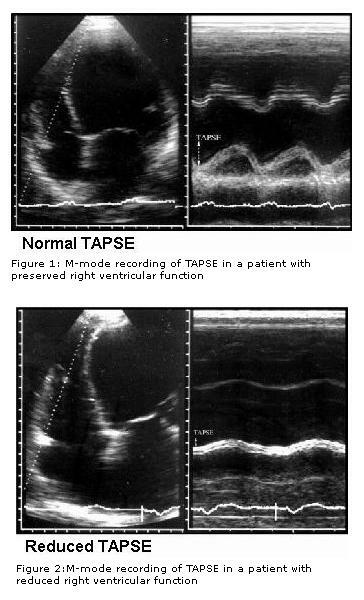 (TAPSE) tricuspid annular plane systolic excursion . This simple parameter has brought the maligned M mode echocardiography into limelight again. Modern day cardiologist is expected to look beyond the coronary artery narrowing when reading coronary angiogram. If only we give little importance to how the coronary artery moves with reference to cardiac cycle we can get excellent information about mechanical properties of heart. Every cath-lab work station has a DSA mode . With this one can measure the coronary artery swing and document it objectively .Right coronary artery swing faithfully reflect RV longitudinal function . This motion is more accurate than the TAPSE by echo . We have found the normal excursion to be 15-20mm (Slightly lower than TAPSE) . Similarly LCX motion give us an estimate of longitudinal LV function and LAD motion can tell us how IVS moves . Coronary artery swing* is a new method ( rapid and accurate) to assess cardiac function in cath lab ! We should utilise this more often .I feel it may throw more valuable than the sophisticated but complex 3D reconstructed and post proceed imaging modalities to assess individual chamber function . * There is no published reference available for modality .It is so simple concept i think , it does not require any major experiments for a proof ! Normal RV function Indices . Now we require comparing the TAPSE with the quantum of RCA swing by angiography. I have asked my fellows to look into this aspect . I guess TAPSE by Echo over-estimates the true motion ( normal 2 cm ) seems on higher side. It includes translational motion of echo which is eliminated in angiographic annular movement .